Inside: A child therapist explains the most common mistake parents make when it comes to raising an emotionally intelligent child. Just by the dejected look on my three-year-olds face, I can tell what’s to come before the sounds start to come out of his tiny mouth. We’re at a playdate with friends, and I’m happily nested on the couch chatting with another mom about who’s gotten the least sleep in the past week when I hear the faint sounds of whimpering emerge. I instantly recognize the sounds as my son and look over to see my sensitive 3-year-old son’s body slumped over and his lips starting to quiver. “Here we go again,” my mind quickly says. Dejected and dismissed, he retreats to the corner with his arms crossed and a frown spread across his face. I breathe a small sigh of relief. Crisis averted. We need to stop doing this one thing if we want our child to be well equipped out in the world someday. The thing is we’ve all been there, having that conversation or trying to get dinner on the table when it starts- crying, whining, and screaming, oh my! For most of us, these 3 things would top a list of our child’s most frustrating behaviors. The thing is, while it would appear a child’s frustrating behaviors come out of nowhere, they are in fact a direct outflow of their genuinely felt emotions. Can we openly admit, as parents, oftentimes we can’t stand it when our kids express strong emotions? Our child isn’t developmentally able to calmly verbalize their feelings like a friend or spouse would, so when their strong emotions come flooding out it feels annoying at best and abrasive at worst, disrupting us in our high stress/low sleep parental existence. When you think about this for a second, doesn’t it seem pretty silly that we, as fully grown adults, become completely overpowered and disarmed by the natural human emotion of these little people we chose to help grow? We can all admit that emotions are a part of being human, and our children certainly tick all the boxes required to qualify for ‘human-being status’. We can likely also admit that we ourselves are not exactly at our most lovable during times of emotional upheaval. So why is it so hard for us to allow our child their emotions? A main reason is that we never learned how to properly deal with our own. Emotions are a topic that is both abstract and complex. Survival and productivity reigned supreme in the family life of past generations, and it wasn’t until recent decades we’ve learned about the massive importance of emotional intelligence on our life success and well-being. When we as adults don’t have a solid grasp of basic emotional intelligence skills such as awareness of our own emotions and coping with them in a healthy way, it’s no wonder that our child’s emotional behaviors make us squirm. What’s the big deal about raising an emotionally intelligent child? Whether your child is at school, home or a birthday party, navigating emotional responses is key to success in any environment. Just think about the endless number of times per day your child is in a situation where she or he needs to engage in conflict resolution, problem-solving or internal coping skills. The list is endless! Here’s a small list of daily skills that involve emotional intelligence skills just to warm you up. 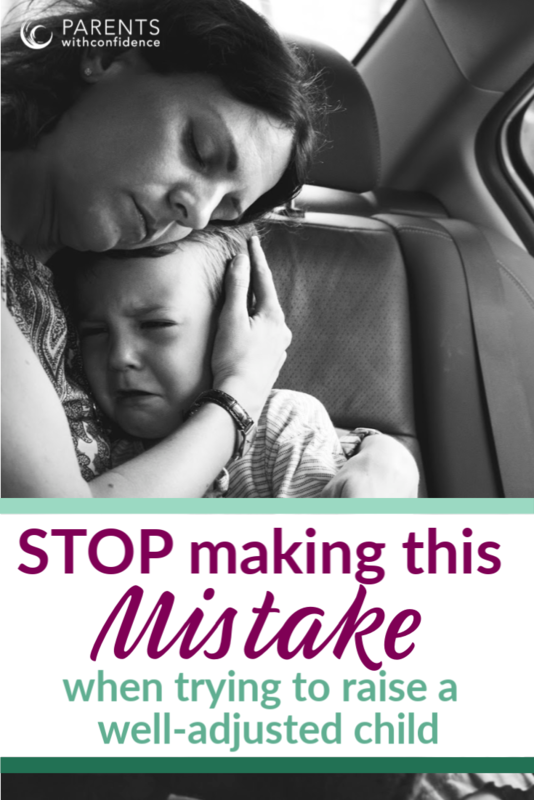 If we want to prepare our child for the ups and downs of life, the first step is to stop minimizing our child’s emotions. When we equip our child to properly handle both the highs and the lows inherent in life, we raise resilient children who can successfully manage themselves in a variety of environments. Also, there is the not-so-small issue of mental health disorders rates. Statistics show that rates of anxiety are 31.9% and depression at 12.8% in the U.S. by the time our children reach adolescence. Mental health conditions aside, emotional intelligence is now considered an integral skill for success in relationships and in the workplace. If our child’s well-being and good mental health are what we’re after, it’s time to break the mold when it comes to supporting our child and their emotions, no matter how inconveniencing they may be. Allowing your child to take ownership of and express their own emotions is the first step. If you’re not already convinced, here are four important reasons we need to allow our children to express their emotions. >>Check out the Emotions Flashcard Bundle! Four reasons to start raising an emotionally intelligent child today. 1. If we dismiss our child’s emotions, they aren’t able to release them. Emotions come and emotions go if we allow them to. The only way we can effectively process our emotions is to face them, feel them and accept them. Facing our feelings and accepting them puts us in control, instead of the other way around. 2. ‘Stuffed’ emotions are going to come roaring back through negative behaviors. No matter how badly we’d like to enjoy a cup of coffee when it’s actually hot, dismissing and invalidating our child’s emotions in the heat of the moment does NOT make them go away. 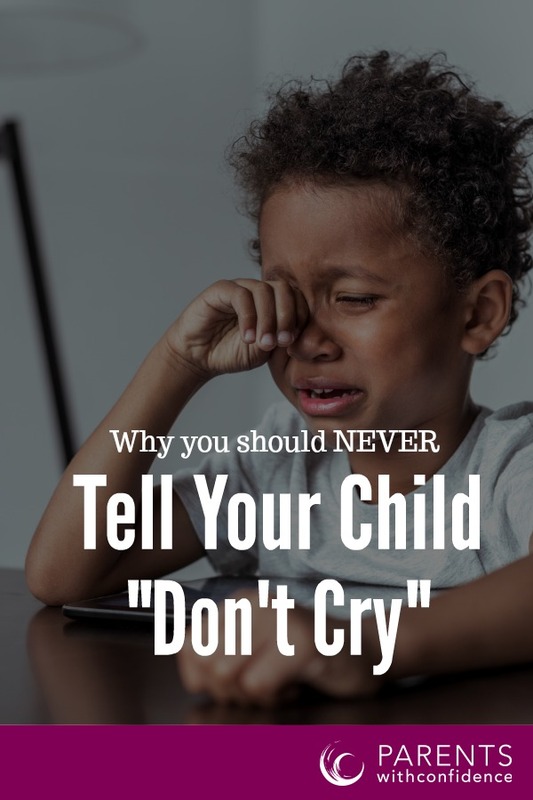 Emotions have a powerful way of being heard and if an emotion is repressed it will show up again in your child’s behavior or emotional state throughout the day. Whether they are externalized or internalized, your child’s strong emotions are coming out one way or another. So, while it may seem like more effort on the front end, allowing them to release when they surface is easier than dealing with tantrums and moodiness for the rest of the day or even week. 3. Denying your child’s emotions creates unhealthy coping patterns. 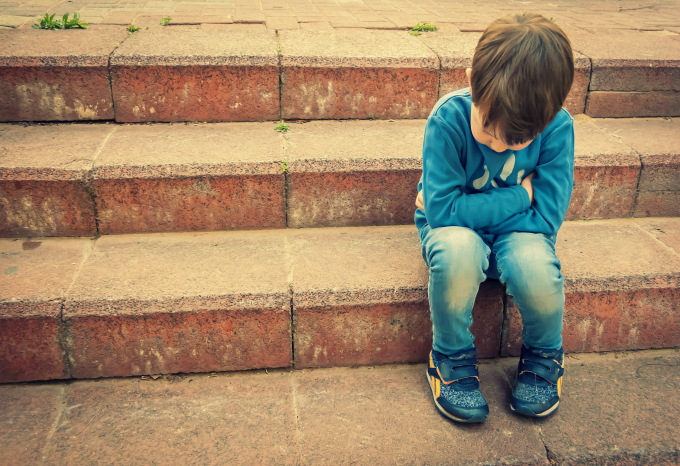 When they’re repeatedly ignored or invalidated, a child will begin to believe there might be something wrong with their thoughts and feelings. This can be a breeding ground for unhealthy coping mechanisms that lead to anxiety and depression. Telling our child they don’t feel a certain way or to stop having a feeling, communicates to them that they are not in charge of their personal experiences and they should rely on the thoughts and perceptions of others over themselves. 4. Limiting emotional expression denies your child the opportunity to develop emotional intelligence skills. How can we learn to deal with tough emotions when we’re not allowed to have them? Childhood is the optimal time to explore what calms and regulates our bodies and minds when we’re upset, and we certainly don’t want to close the door on this important journey for our child. Now is the time to lay the groundwork for a healthy emotional life within your child. Avoiding and minimizing our children’s emotions appears to be a quick fix, but it’s also a quick path to anxiety and depression. If we want to foster emotional well-being in our children, we have to change things up and break the cycle, and the first step is accepting their emotions, both the highs and the lows. As a child therapist and a mom, I truly believe that raising a generation of emotionally intelligent children will change the world. It’s not easy to change our habits, but small steps matter a lot. So who’s ready to take on the challenge together? Let’s take our children’s unpleasant moods and behaviors and use them as an opportunity to build vital emotional intelligence skills they can use tomorrow at school and all the way down the road in their own marriage. Let’s stop judging our children’s emotions as good or bad, and instead teach and empower them with the knowledge that it’s possible to co-exist peacefully with all of their big feelings as a part of healthy humanity. Let’s change our perspective to see our children’s intense emotional responses as healthy and natural and use the opportunity to model that it is possible to keep our cool and not let our emotions get the best of us. Allowing your child to fully identify and express a wide range of emotions is the first step in raising them to be a well-adjusted and emotionally healthy human being. Making a healthy space for your child’s big emotions will probably lead to more cold coffee, missed conversations and even some judgemental looks on future play dates. However, you can take solace in knowing that you are choosing to put your child’s future first by prioritizing their emotional health and equipping them with the coping skills they’ll need to face life’s challenges. So, together, let’s push through our own discomfort and focus on what really matters, giving our children the emotional intelligence skills to not just get through life but to thrive throughout it. Ready to kickstart your child’s emotional intelligence?!? Grab your EMOTIONS flashcard bundle and start helping your child improve their peer relationships, coping skills, mental health, physical health, self-regulation skills today! As a retired child care provider i agree. I hated when I heard a care giver say to a child “Stop crying or I’ll give you something to cry about” the child already had something to cry about. Or “you’re okay” with out even asking why they were crying. Or when the adult takes a toy the child is playing with gives it to another child and says “you have to share”. Respect the child. Great article but I wish it included a description of what behaviour or choice could of been made to work towards all of the above. So much information is available these days which point out the wrong thing to do, but finding the suggested correct option is never as easy to access! Is there a book which would teach me those coping skills are that I need to teach my grandchildren? I will be sharing this with my daughter. I run into these emotional outbursts and would like to handle them in a way that will be beneficial, not just putting them off to resurface later.